One of our first ever reviews upon launching our site was for a great little brand I had fallen in love with, Phyllis Stein Equestrian. We’ve also been lucky enough to pick the brain of founder Meredith Duncan on two separate occasions, for our fashion issue (Issue No. 5) and last year’s anniversary issue (Special No. 5). With the launch of the new (drool worthy) spring 2015 collection, I thought it only fair to revisit this great brand with an all new in depth Friday Feature review. For those not familiar with the brand, Phyllis Stein Equestrian started off as a line of classy and sassy tees for equestrians, which has recently expanded to include sweaters and long sleeve shirts. Form fitting and made of super comfortable bamboo cotton, these shirts make you look good and stand out from the crowd. 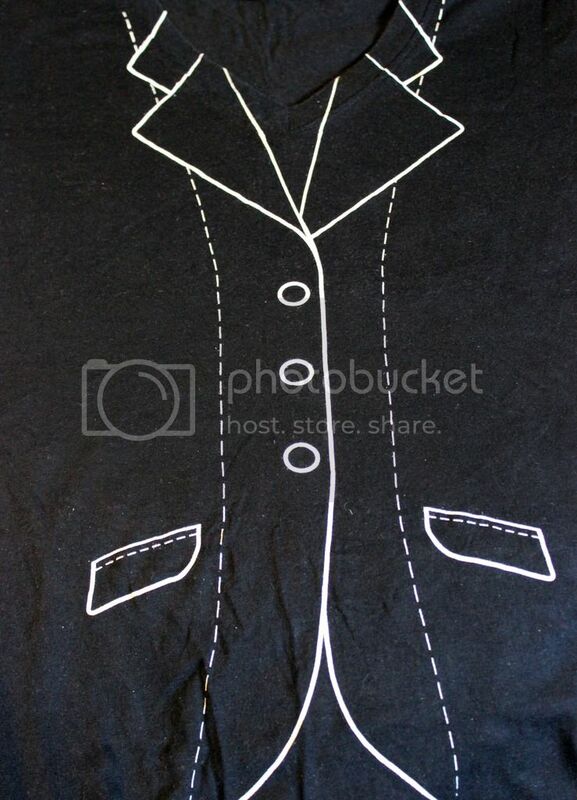 How do the shirts fit? How is the sizing? What are the shirts made of? How comfortable are they to wear? What’s the printing quality like? Do they stand up to wear and tear? How well do they stand up to washing? Can I rock these shirts just about everywhere? How much? How does it compare to other brands? Even in a larger size, Phyllis Stein tees fit well (this is a large #ROOTD tee on me). 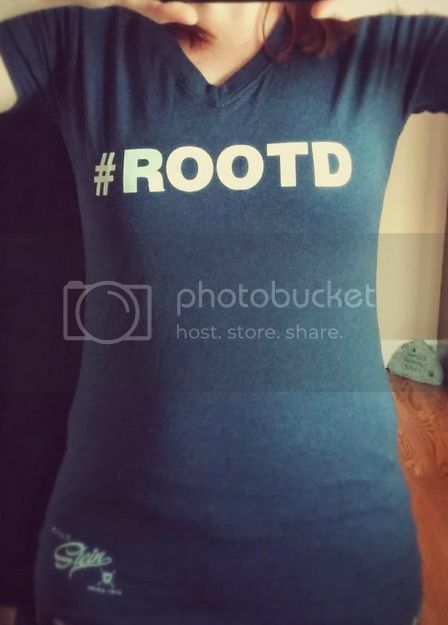 These shirts were designed to be flattering, so they do hug close to the body. If you are like me, and prefer your shirts a little on the looser side, I would recommend ordering a size up. I usually wear a medium in t-shirts, but generally order a large in Phyllis Stein, though I think I may have a few mediums kicking around that still fit comfortably. I just often prefer the slightly looser fit I get with the larger size. Otherwise, they fit comfortably overall. The fit is consistent throughout and there are no tight spots that make it uncomfortable to wear. The t-shirts are a great length and end just below the hip on me (I’m 5’4”). Super soft bamboo cotton, do I really need to say more? These shirts are extremely comfortable to wear because of what they are made of. Soft to the touch and fairly light weight, they are comfortable to wear at the height of summer, and also pair well with a sweater in the dead of winter. All shirts are printed with high quality ink that doesn’t easily crack and peel during movement and wear like some other brands. To date I have six Phyllis Stein Shirts that I have been collecting since 2013, and every single one of them is still in near mint condition, even with regular wear, washing, and exposure to the elements. They definitely stand the test of time. The fine print lines on my Hunt Coat tee (bought in 2013) does have some cracking in the ink, but none of it has flaked off at all, and it’s really not obvious when the shirt is worn. I also have one or two cracks in the ink of my Breeches brigade shirt, but again it’s minimal. Every other one of my shirts, including my first one (a purple Breeches & Boots tee, purchased in 2013) is in top form, with all the ink still intact and as vibrant as the day I purchased it. I don’t usually wear these shirts to the barn, so I can’t entirely account for how they hold up there, but I’m confident they probably perform just as well as during casual wear. I’ve worn them out in the full summer heat, stained them, and got them caught on things, and they still look lovely. It’s a testament to the quality of materials that goes into them. I prefer to wash them on a delicate or gentle cycle when it comes to laundry time, just to be safe. I also usually put them in a mesh laundry bag, to ensure that they don’t get caught on anything in the machine (such as velcro at the bottom of my breeches), but I’m always a bit over cautious when it comes to laundry (I’ve had some issues in the past). There is absolutely no doubt that when it comes to one-of-a-kind equestrian apparel, Phyllis Stein has the market covered. Limited print runs of many shirts means that you can score a great one and you likely won’t have to worry about showing up to the barn rocking the same outfit as your barn buddies. 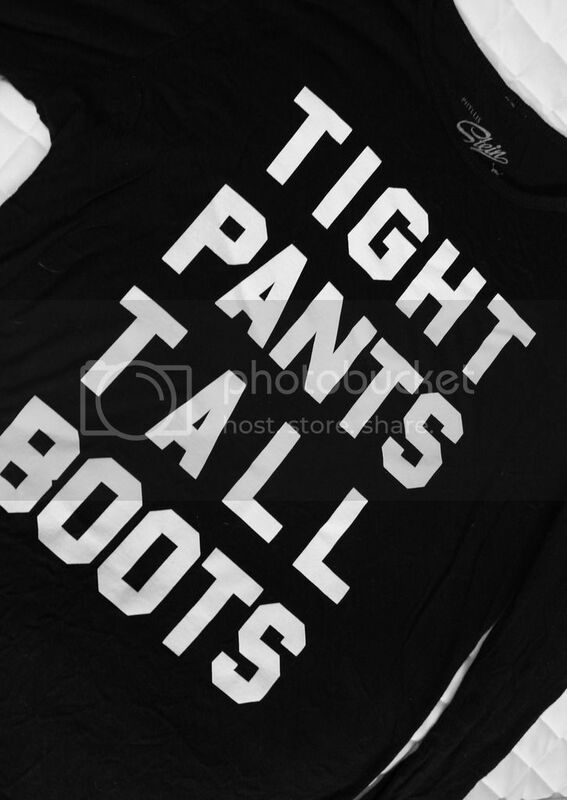 As an added bonus, the catchy and sassy sayings can let you show your personality and make a statement. They also regularly make hilarious conversation pieces with non-horsey friends, who I’ve found often don’t understand many of my Phyllis Stein shirts and need an explanation or two. The release of new shirt styles the last few seasons have also helped to keep the brand fresh, while also producing even more drool worthy shirts that you can’t help but love, and are totally on trend (like the new #ROOTD shirt, printed in reverse so it shows up perfectly in mirror selfies). 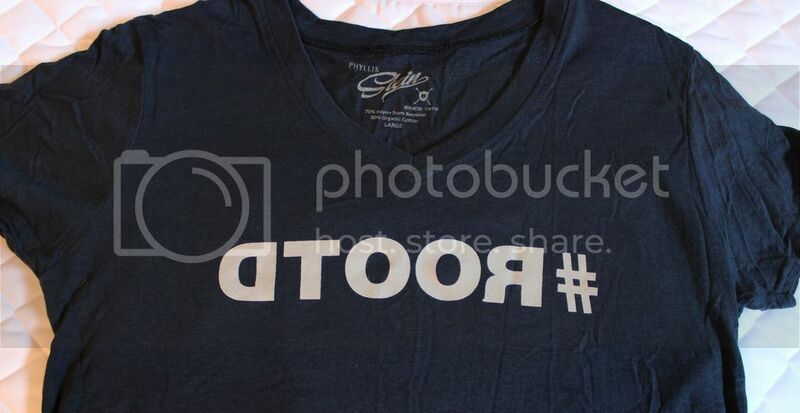 I also give a serious shout out to Phyllis Stein founder Meredith for continuing to come up with sassy, classy, and sometimes downright hilarious content to put on these shirts; that is some serious creativity there. These shirts work great as part of your riding outfit, but also transfer well into casual street wear for the day to day. Let’s face it, I’ll admit that I have totally rocked a few of my Phyllis Stein shirts at work in the past. I’ve paired the Breeches Brigade tee with a blazer for a totally cool business casual look, and have sported my Hunt Coat tee solo on many occasions at work in the summer. Whether you like to make a serious statement with your wardrobe, or like something a little more subtle, you’re bound to find at least one shirt in the Phyllis Stein collection that suits your tastes. Bought directly from the Phyllis Stein website, t-shirts are $42.99 (CDN), plus relevant shipping and taxes. Sweaters are slightly higher priced, at $55.00 (CDN). Considering the quality of materials, comfort, and longevity of the shirts, it’s really not a bad price and is comparable to other brands. Many casual equestrian themed tees run the range of $25 to $40 (or more), depending on the brand, and few are as unique as those produced by Phyllis Stein. 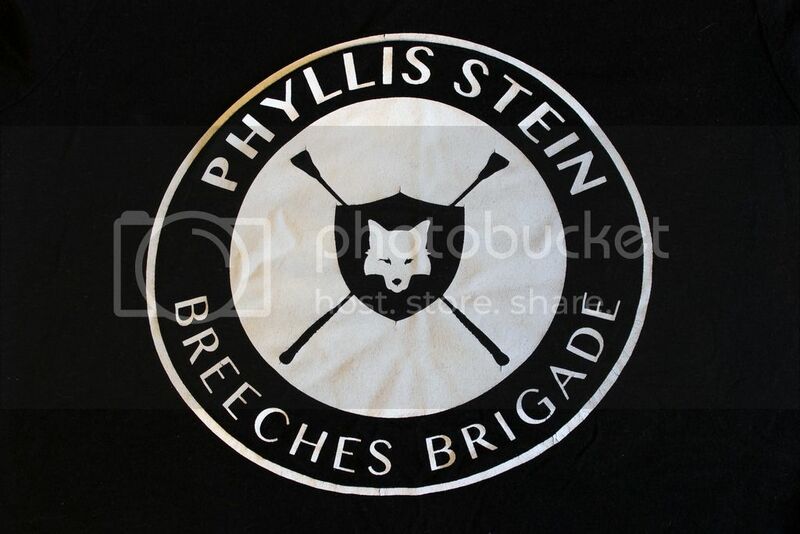 If you don’t want to order directly from the site, the list of stockists of Phyllis Stein tees is regularly growing. You can find a full list of all Canadian and American retailers, by visiting the Phyllis Stein site. Don’t forget to check out Phyllis Stein Equestrian on social media to stay up to date on new collections and other great things, you can find them on Facebook (Phyllis Stein Equestrian), Twitter (@RocktheStein), and Instagram (phyllis_stein)! Let’s face it, there’s no denying I’m still in love with these shirts. If I could wear Phyllis Stein all the time, I totally would, they are just that comfortable. I highly recommend checking them out and snagging one for yourself, you won’t regret it. Rockin’ the Stein is really the only way to go.